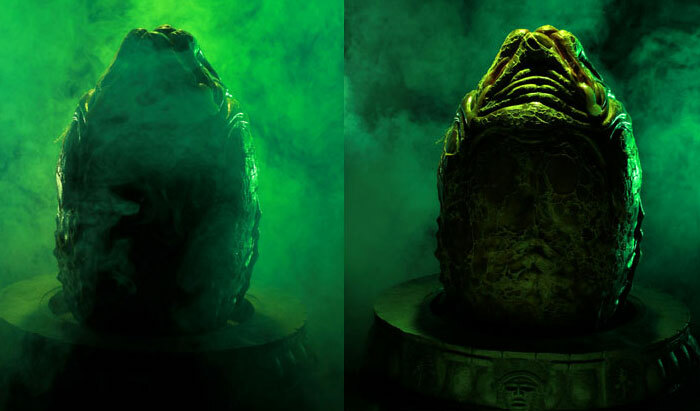 Check out this disgusting and yet oh-so-awesome life size prop replica of the Queen Alien Egg from the 2004 film Alien vs. Predator . This is another fine Sideshow Collectible’s manufactured movie prop replica that was released as a limited edition of only 500 units worldwide. What a fantastic full-scale reproduction of the Queen Alien’s spawn, sure to put anyone who visits your home off their dinner the moment they spy it. The AVP Queen Alien Egg measures over two feet high and is an exact 1:1 scale reproduction of the original prop. As you can image, this is such a great collectible that it didn’t take long for all the limited editions to sell out, as you can see on the original product page.